. 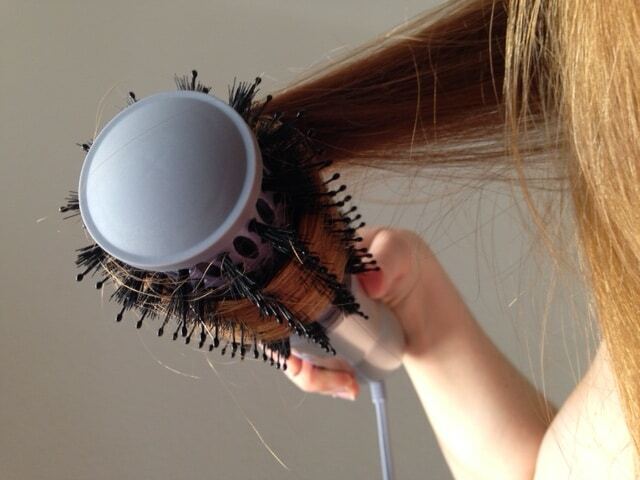 What this styling tool does is give your hair volume and shine while drying it. You can use it to add volume, straighten, and create a small curl at the end of the hair, or just adding some retro style waves while drying. Combining ionic technology and titanium-ceramic coating, the John Frieda Hot Air Brush produces great results quick, easily, safely, and conveniently. How Does the John Frieda Hot Air Brush Compare with Similar Products? Are Customers Happy with the John Frieda Hot Air Brush? • Inexpensive. 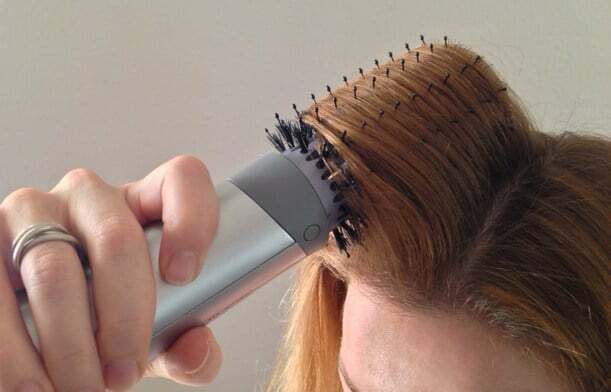 The hot air brush delivers salon-like results without the salon costs. • Easy to use. It comes with an ergonomic grip for easy hair styling from any angles. • Lightweight. You can use it for long periods of time without taxing your wrists. • Quick results. It shortens hair routine by doing two things at a time: dry your hair quickly and style it. • Keeps moisture in. Revolutionary ionic technology locks in hair moisture to maintain the health and smoothness of the strands. As a result, your hair is more manageable and less frizzy. • Sleek and shiny finish. 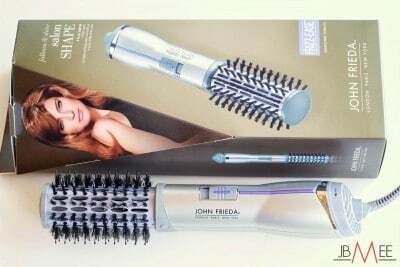 The John Frieda Hot Air Brush comes with a titanium-ceramic coating that ensures even distribution of heat. This way you get shiny, sleek hair without damaging the roots. • Flexible. The styler comes with two heat settings so you can adjust the temperature level to your hair type. The low setting can be used for thin, fine, and damaged hair, while the high setting is ideal for thicker hair. There’s also a cool setting, which can be used to set the style and create longer-lasting effect. The Infiniti Pro, a product of Conair, is about two times more expensive, but that’s because the Infiniti Pro offers more heat settings, has a spin function, and produces more ions than the John Frieda Hot Air Brush. If you’re looking for a cheaper alternative to the John Frieda styler, then take a look at the Revlon Hot Air Brush. It comes with two interchangeable brushes and offers more power and speed. However, it seems to be cheaply constructed as some buyers have complained that the clip breaks easily. The John Frieda Hot Air Brush has some room for improvement, according to its reviewers. It doesn’t work so well on long/ thick hairs. Hair can sometimes get caught up in the bristles by accident. Adjusting the setting is not always convenient as the button is sunk into the handle. 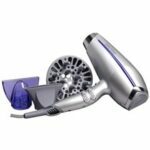 If you are looking for the best price on the John Frieda Hot Air Brush, Amazon is currently offering it at a discount compared to the list price. Based on customer reviews found online, most customers are happy with their purchase. Mainly unlucky customers who complained when the product got burned or broke. 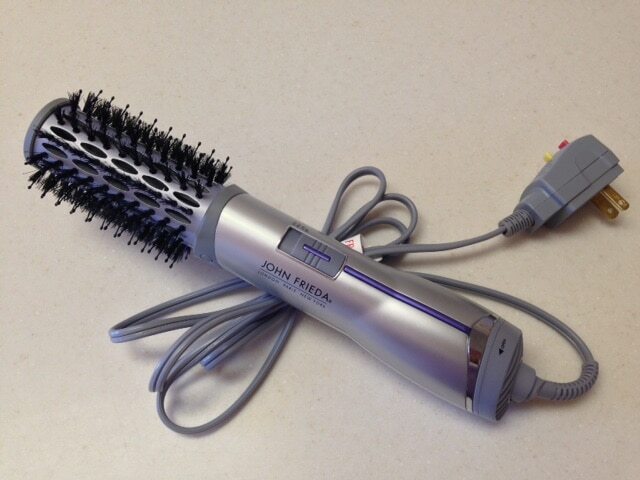 Happy customers report that the John Frieda Hot Air Brush works as advertised. It dries and styles their hair simultaneously and quickly.